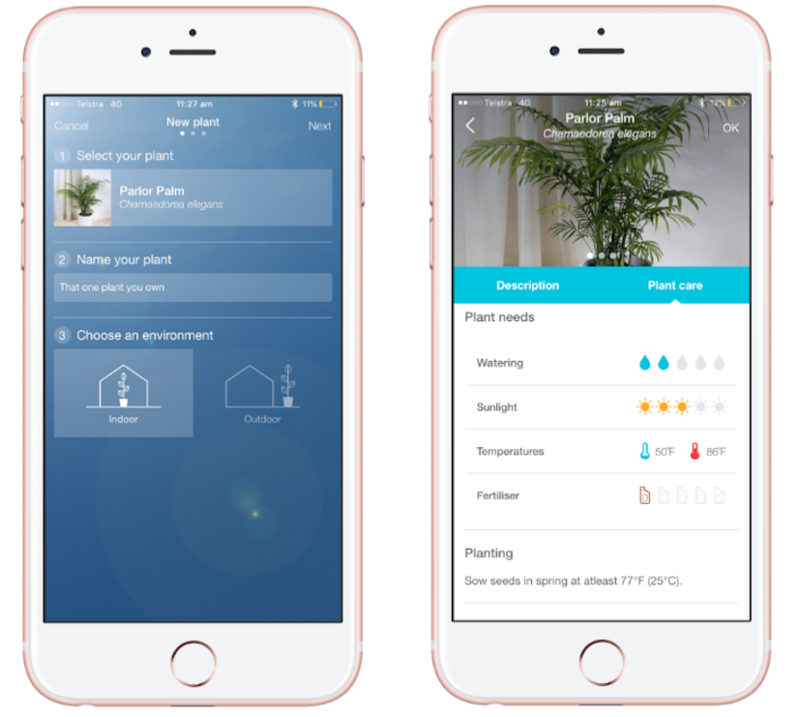 Flower Power, an iOS app that promises to help you get the best out of your favorite indoor or outdoor plant, has undergone a major face lift this August. The app, developed by Parrot SA has been around since 2013, but both looks and functions have been overhauled in-depth recently. While the app is and has always been free, it requires a hefty upfront investment for the wireless plant monitor itself to supply the app with critical data. So let’s posit you want your beloved indoor plant to live up to its maximum potential – Should you pounce for it? Before delving into this review, note that it will only concern the plant monitor and not the Parrot Pot, which is another product by Parrot offered at a higher price point. The plant monitor comes in three colors which I will call baby blue, brown and olive green. 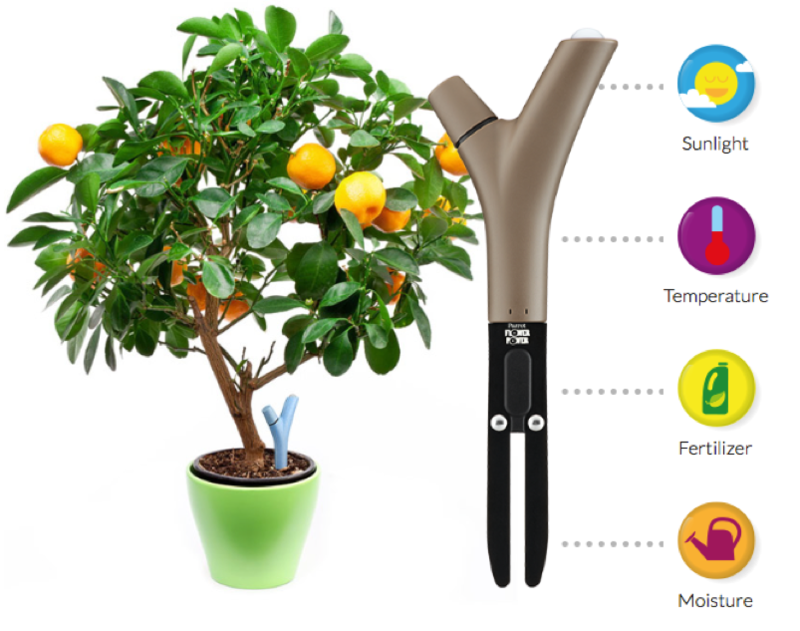 The monitor resembles a forked branch and is packed with four sensors; sunlight exposure, temperature, soil moisture and fertilizer ratio are measured continuously and relayed to your iPhone’s Flower Power app after connecting the first time. The set up of the plant tracker is considerably easy: mine came in the olive green color and after unpacking (it is no bigger than six inches) and switching it on, simply jam it in the soil near the plant you want to monitor and you are almost good to go. 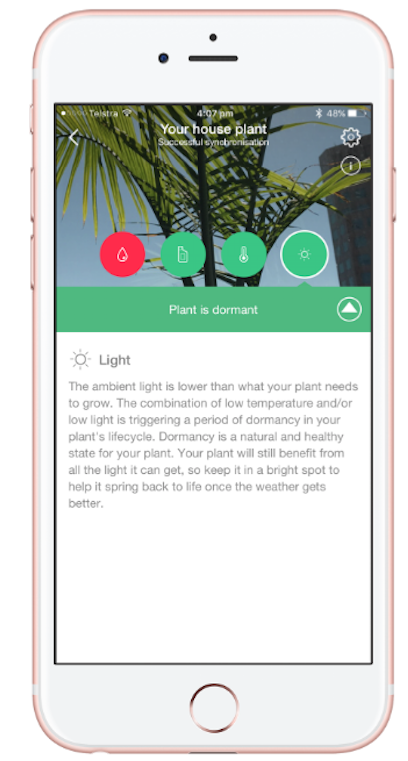 Launch the Flower Power app and it will quickly detect the Bluetooth beacon and subsequently ask for some information on your plant, such as its location and species. The ladder might entail some browsing of the extensive database at first, however it does pay off as you will be rewarded with a comprehensive information sheet on your plant’s basic needs right out of the gate. From this point on, Flower Power will require a 24-hour initialization period to analyse the soil it has been placed in. 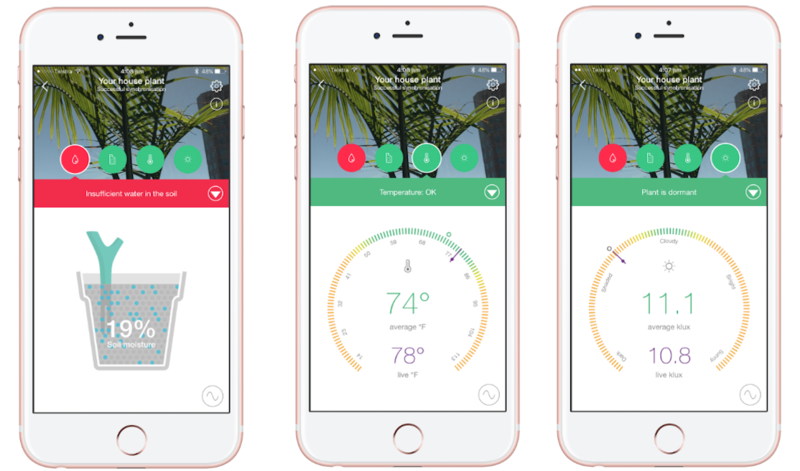 The app settings can be tweaked in the meantime to select preferred units of measurement and the time window in which Flower Power may notify you about your plant. After that, it is time to kick back, relax and let the sensors get to work. 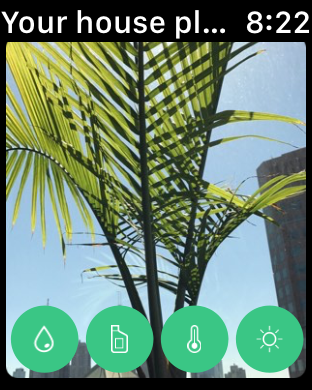 As soon as the data trickles in and real-time tracking of your plant is online (24 hours later), there is a lot to appreciate: tap your plant (you also get to take and save your own photo of it) and enter a world of analytics, all nicely presented in an aesthetically pleasing way. The four circular bubbles in the centre of the screen represent said soil moisture, fertilizer, temperature and sunlight exposure. They assume an either green or red colour to indicate their status at a glance, offer a more detailed breakdown when selected. What’s more, a little white arrow hinting at a drop down menu will deliver a very insightful explanation on each segment that is relevant to your plant. For example, I for one did not know about plant dormancy, but you live and learn. At the same time the soil moisture tab will inform me that water supply should not drop below 26% for this specific plant, notifying me if or when it does. Outside the tracking features, two more aspects need to be praised. 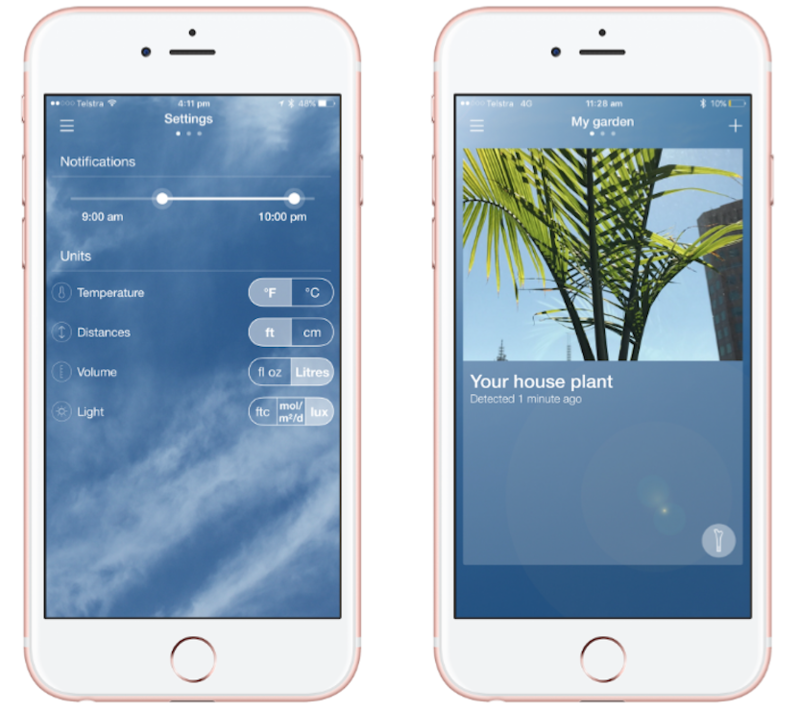 The app comes with a comprehensive database that is highly likely to feature the plant of your choice (ranging from indoor plants to vegetables, fruit plants, cactuses etc.). It will also include other plants of yours that you don’t necessarily plan to track and yet will be intrigued to read about. Remember, the app is free, so it might be worthwhile checking it out. Furthermore, it draws upon that database to offer you smart suggestions for the most suitable plants on grounds of your location and the positioning of it. Another plus has got to be the monitor’s battery life. Parrot promises the battery to last for six months and in my book that is selling it short of what it really is capable of. I have had mine track plants (admittedly on and off) for about a year and am still at a solid 60%. The data is transmitted thanks to Low Energy Wireless Technology (Bluetooth v 4.0) which means patently low energy consumption. 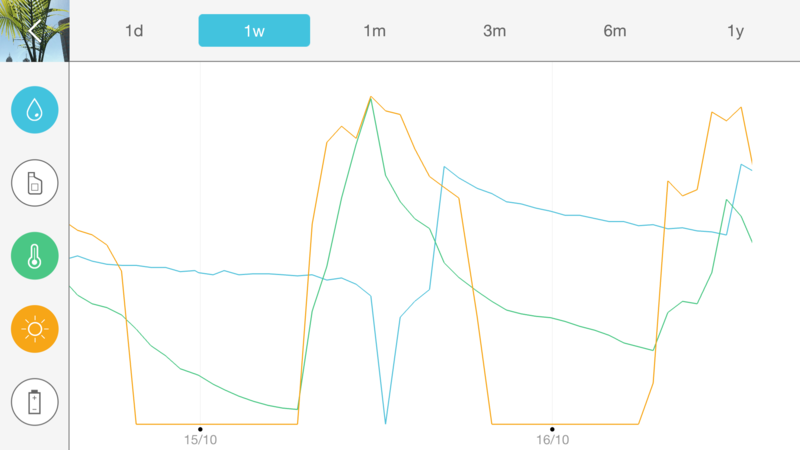 The biggest flaw I could make out, and that is based on board discussions and my personal experience, is the occasional loss of connection between the monitor and the device it is supposed to be tethered to. That is not to say you won’t get to access the data directly through the app – this will always work nicely – however it can affect the notification service and it appears to have gotten more whimsical with the latest software update in August. 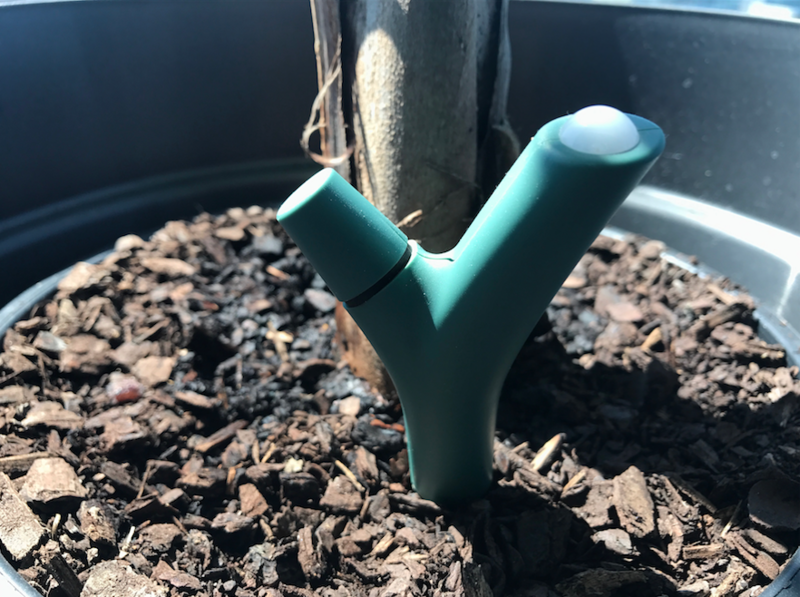 If you’re considering this purely because you want a smart plant that practically notifies you when it desires a drink, keep in mind it might be flaky. You will most likely end up checking in on your app manually just to rest assured no notification has been missed. 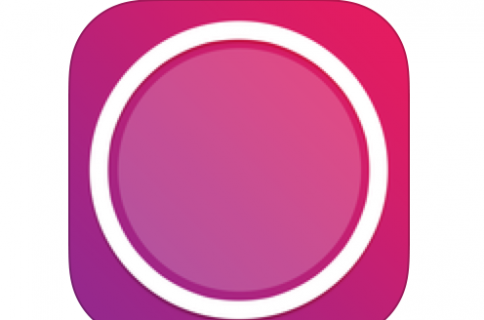 An Apple Watch app has been added as well. The fact that this is brought up in this segment speaks for itself, it really is nothing to write home about. The app looks clunky and proportions are wonky to say the least – none of the icons are interactive, meaning you get very simplistic feedback in the shape of green or red bubbles only. The Parrot Pot may come with some additional functionality, but none of that is available to owners of the plant monitor. 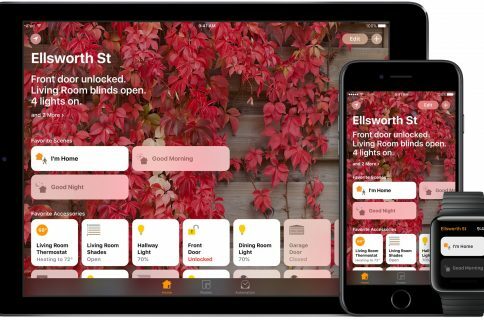 On another note, Parrot also missed the boat on Apple’s HomeKit, which is unfortunate. What is plant monitoring worth to you? At the end of the day, this is the million-dollar question. There is definite light and shade with this acquisition – pun absolutely intended – so you should weigh up how much you are willing to pay for a detailed breakdown of your beloved plant’s cravings. The live mode you can see below is by all means a fascinating study and it did help me figure out the best spot in the apartment for my plant to flourish. So credit where credit is due. By the same token, $50 is quite a rate to fork out for what others would probably describe as common sense observations. It comes down to this: if you have made a considerable investment on a plant that is doing inexplicably bad, I would suggest to give it a shot. If you mostly fancy the thought of making your home a little bit smarter, perhaps invest your hard-earned bucks elsewhere. Parrot Flower Power is available for all devices running iOS7 and above, starting at iPhone 4S, iPad3, iPod Touch 5th Gen and newer models. Find the app for free on iTunes. You can purchase the Plant Monitor on Amazon.